I had a great time hosting this month's CBB series specially dedicated to evening tiffin varieties. 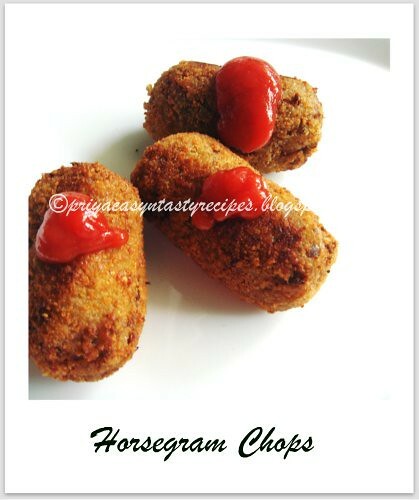 I have received so many interesting recipes all mouthwatering and so appetizing. 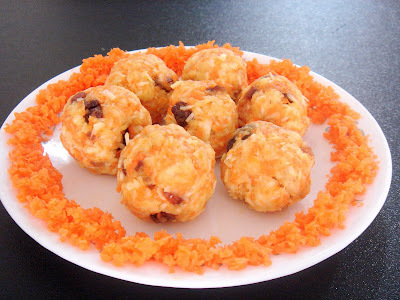 Welcome to a visual treat of tiffin varieties to make your evening tea time more interesting, memorable and happening. 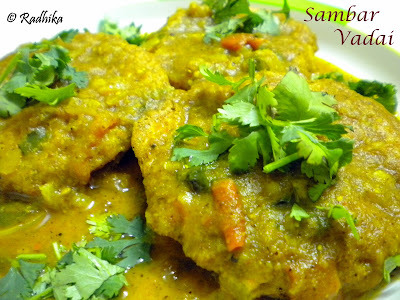 First entry was from Krithi of Kriti's Kitchen. 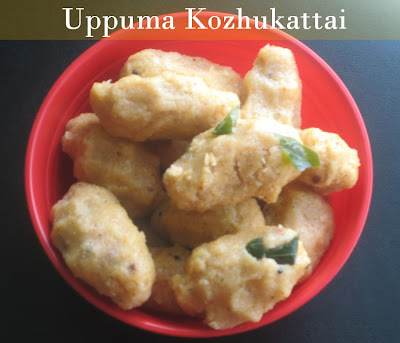 She has sent in steamed pidi Kozhukkattai, healthy, light on the stomach yet good enough to satisfy your hunger pangs. 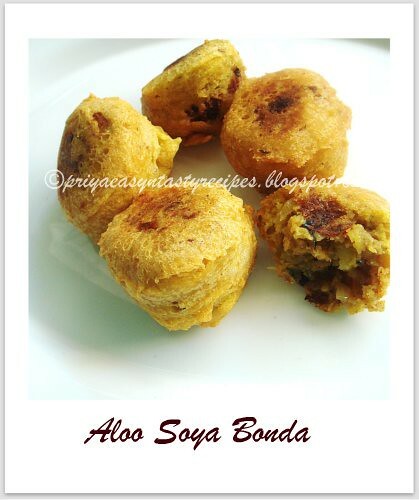 Pakoda with tea is an unbeatable combination. Don't you agree with me?. That is exactly what Mitu has sent me. 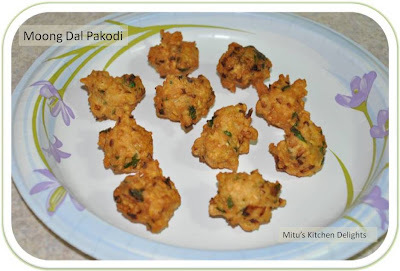 Moong Dal ki Pakodi, so nice of her. How about some thing sweet? Akheela has sent Rice Pudding from her kitchen. Oh! I love those bowls. Dhyuthi of Mélange! 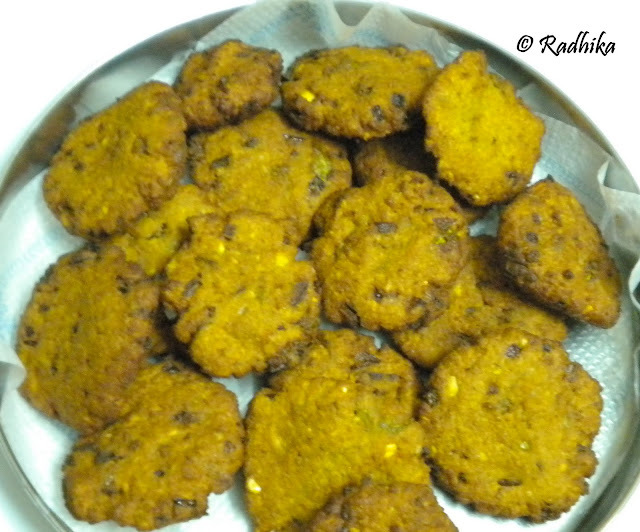 has sent some very interesting and healthy tiffin varieties from her kitchen. Must surely check out. 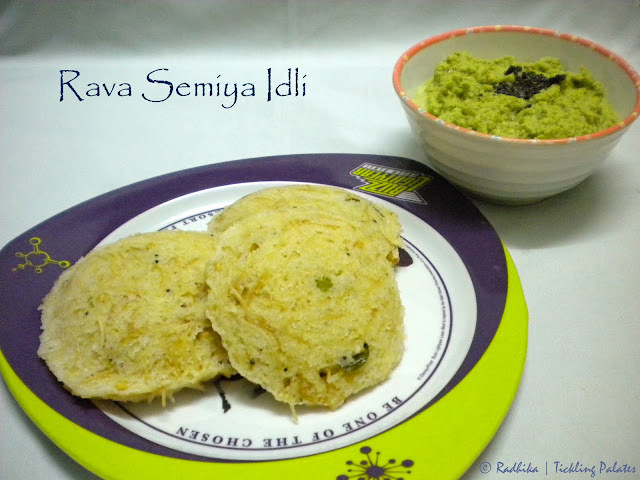 Ilayappam, Mani Puttu and the evergreen Unniyappam. I'm definitely going to try them out. Mugdha has sent in Stuffed Paneer Pakora. 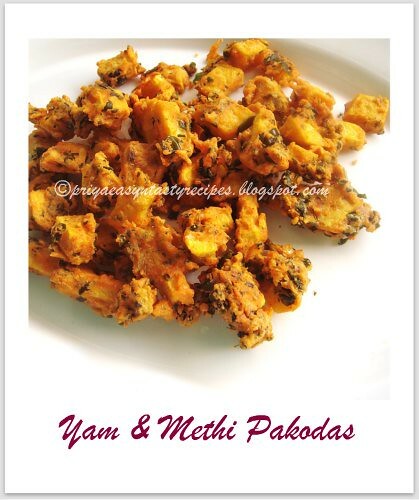 I'm game for anything with Paneer in it. What about you? 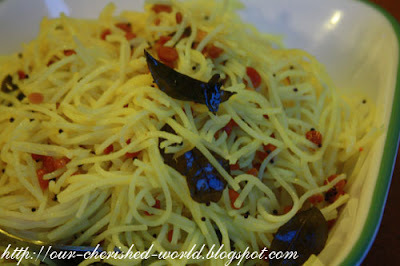 Simple, quick and tangy is how I would explain about this Semiya Pulihora sent in by Swetha. How about some usual dosa with an unusual twist? 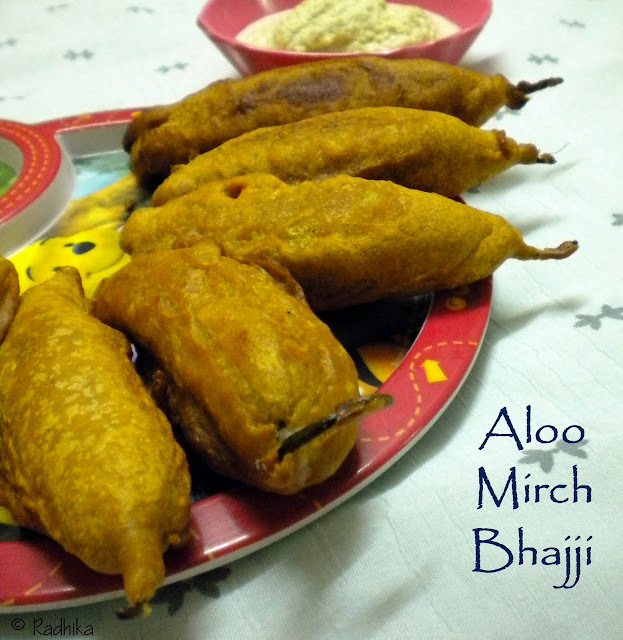 Moong Dal Dosa has been sent by Nirmala. 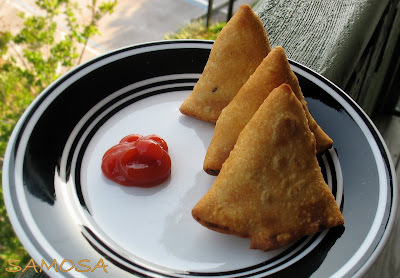 How could tea time be complete without the good old samosas. 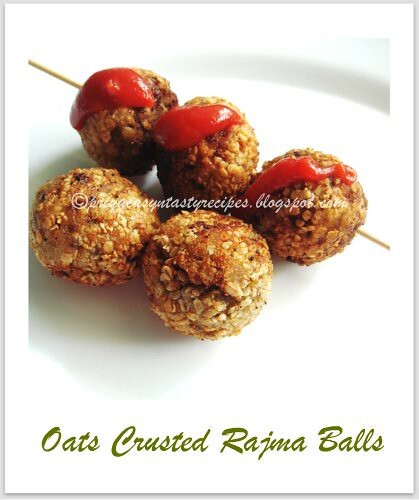 That is exactly what Rekha has sent in. So yummy and picture perfect. 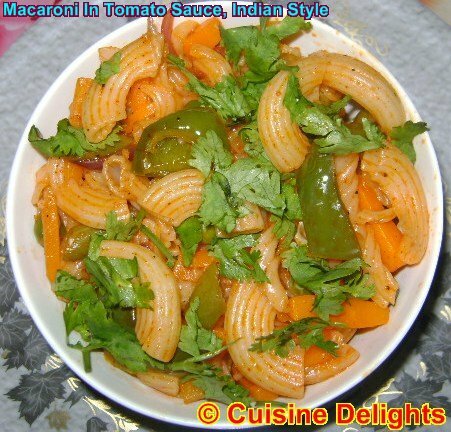 Try something different like this fusion Macaroni in Tomato Sauce, Indian Style, which has been sent by Chandrani Banerjee. 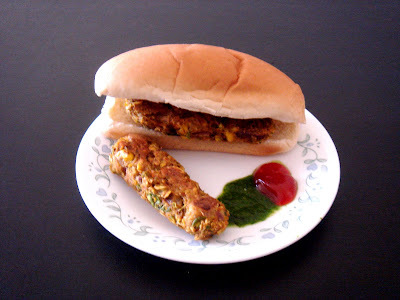 Check out Vaishali Sabnani's Bean Burger, Damat Poha, a kolhapuri Speciality, Moong Dal Paneer Cheela and Chutney Toastie all unique and different and satisfying when had during evening happily satisfying our hunger pangs till night. Thanks to all, who have participated in this month's event and I sincerely hope that you all participate in the next month event too for which the theme is Chinese Cuisine.